In fact, many B2C brands large and small are already on the Snapchat bandwagon. Getting started requires little to no investment and the young consumer audience is there. But B2B brands are adopting more slowly, which isn’t abnormal. In my opinion, the nature of social media makes it easier for B2C brands to enter and fit in. However, I think it’s safe to say that Snapchat has gone mainstream, and now is the time for B2B brands to see if it makes sense for their audience and business objectives. Below we dive into a few examples of B2B companies that are using Snapchat to grow and engage their audiences, as well as some best practices and tips for getting started. Knowing that more B2C than B2B brands had success in building strong followings, HubSpot launched their Snapchat channel to face that challenge head-on. “To make our Snapchat channel valuable, we’re using it to serve as both a marketing and a recruiting channel — a place where we can showcase our unique culture and perks, our awesome employees, and the inbound philosophy,” HubSpot said in a Snapchat blog post. Using a human voice and giving people a sneak peek inside the company’s culture and things they’re experiencing, HubSpot aims to align their snaps with their marketing objectives. Here’s an example of a snap they used to showcase a talk from BuzzFeed News Editor Rachel Zarrell. Technology giant IBM offers its audience with an inside look at the company’s facilities, as well as the atmosphere at various events where its technology is being used. Below is a short video clip that IBM used on Twitter to encourage people to follow and get a look inside their microelectronics lab. Cisco Systems Inc. is pretty new to the Snapchat game, with the company announcing on its blog that the “WeAreCisco tribe”—the recruiting and careers team—was taking over the Snapchat world in April 2016. Since Snapchat is the platform of fun, Cisco promises to provide its followers with behind-the-scenes access to everything from the annual employee Crawfish Boil in Texas to tours of their Raleigh office. #1 – Provide something of value. Any piece of marketing content you create needs to have value and your snaps should be no different. Strive to create something inspiring, educational and engaging that will keep your audience coming back for more. A great way to do this is to provide them with a sneak peeks—from what’s happening around the office to tradeshows and events to the latest product you’re working on. #2 – Use Snapchat’s features to delight the eyes of your audience. Emojis, filters, text and drawings are all ways that you can add some vibrancy to your stories and snaps, and keep your audience scanning and engaged with your message. #3 – Use other channels to promote your Snapchat presence. Leverage your other social media channels to spread the word that you’re on Snapchat. Since Snapchat is an incredibly unique platform—one that is less formal and more fun—show your followers what they could be missing out on. I particularly like this poetic Tweet from Coca-Cola. #4 – Use B2C brands for inspiration. Since there are many B2C brands that have invested a ton of time (and money for some) into their Snapchat efforts, look to them for a little inspiration. 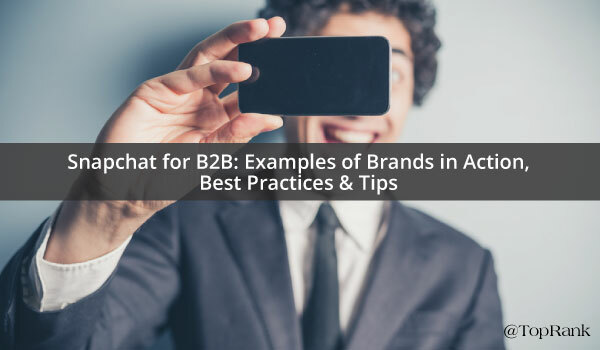 Follow some of your favorite brands and take notes on the things they’re doing that catch your attention as a consumer and look for ways to parlay that into your B2B brand’s efforts. Some good ones to start with are: Amazon.com (amazon), GrubHub (grubhub) and General Electic (generalelectric). #5 – Remember that you’re marketing to consumers, too. 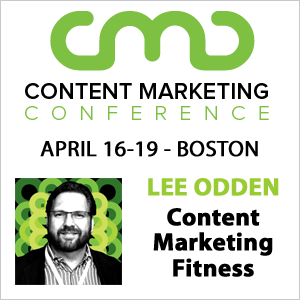 The thing that B2B companies need to remember is that they are still marketing to consumers. They are just consumers responsible for purchasing a product or service for their business needs, and not just a tube of lipstick,” she said of embracing Snapchat and other emerging social media channels. “B2B consumers are still searching for great content from brands that will entertain, inspire and inform them. Is your brand on Snapchat? What B2B or B2C brands are you following? Tell us in the comments section below.